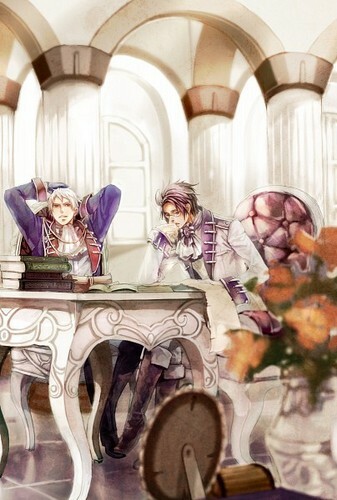 Austria and Prussia. Gorgeously done <3. Wallpaper and background images in the hetalia - axis powers club tagged: hetalia aph prussia austria. This hetalia - axis powers photo might contain sala de desenho, buquê, corpete, posy, nosegay, corsage, ramo, sala de estar, sala, sala de frente, salão, and sala da frente.